The NKJV Study Bible, the most comprehensive study Bible available, now available in a handy personal size with words of Christ in red! 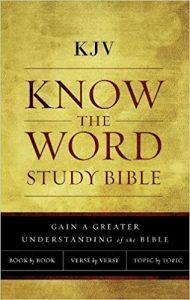 The acclaimed NKJV Study Bible is the most complete study system for all who desire accurate study in God’s Word. The Second Edition includes more features to make it the best all-purpose study Bible. Using the trusted New King James Version, The NKJV Study Bible has “the mind of a scholar and the heart of a pastor.” Nelson’s skilled team of scholars has produced the system to reach for when study in God’s Word is the goal. I happen to love Bibles, so I was curious to see what the NKJV Study Bible would offer, and was pleasantly surprised. Other than the print being too small for my taste and it being on the bulky side, everything else about this particular bible is to my liking. I love the color photographs showing the locations corresponding with the verses in connection with biblical history. The extensive cross referencing, exhaustive study notes, word studies and more. This bible is jam packed with helpful information, it’s amazing. 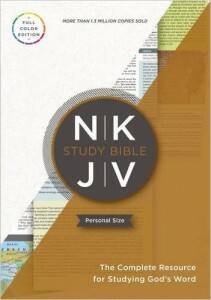 If you want to dig deeper in studying the Word of God, then the NKJV Study Bible is the one for you. I highly recommend it. Disclosure: I received a complimentary copy from the publisher in exchange for an honest review. 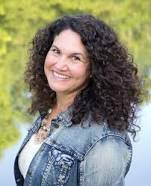 Today, I have the distinct pleasure of interviewing one of my favorite authors, Carolyn Weber. I discovered her after reading her first book, a memoir, Surprised by Oxford. 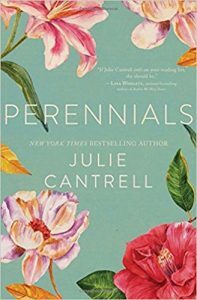 I have a penchant for memoirs, and this one was by far, my favorite. 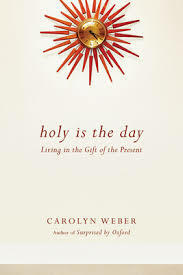 Carolyn Weber came out with another fabulous book, Holy Is The Day which I reviewed recently. I’m excited to share my first author interview with you. I don’t think there was a “moment” – although I do remember writing as a child but hiding my work because the teacher didn’t believe me when I tried to write a novel in grade 1. I’ve been an academic writer for some time because of my professorial career, but when I finally wrote my conversion memoir a few years ago (“Surprised by Oxford”), well, that was a turning point, and I’ve enjoyed writing more specifically as a faith walk, and hopefully as a praise since then. All types of books qualify as favorites for me – I don’t have one particular type. Though I do love many of the classics, and not just because I should. I honestly do find something enduring about them, and an appeal to aspects of our deepest humanity. Jane Eyre, The Brothers Karamazov, The Odyssey, Paradise Lost … they are all electric. When did you decide to write your memoir, Surprised by Oxford? Once I was tenured, and it was relatively “safer” to write a spiritual memoir in an academic environment. But by then, the story had percolated long enough too – I had promptings for ages from students and friends. So I finally sat down on my sabbatical and wrote it. Was it your dream to become a professor or become a writer? It was always my dream to teach, from as far back as I can remember. And I love to study writers, I love to read. Writing now across many genres, and pushing myself as a writer, has felt like “walking through the looking glass,” so to speak. I now know more intimately what the writers I had studied for so long had to actually go through – from the thrill of inspiration to the icy exposure of criticism. I enjoyed reading your new book, Holy is the Day? Can you tell us a little bit about how this book came about? For some time, I had been sitting with the notion of what does it truly mean to be in God’s presence? When I discovered I was pregnant with a surprise baby, and one who potentially faced health problems, the writing process became a sort of prayer process in itself of trusting our God. You touched a little bit about your leaving teaching? Do you think you will return to teaching English one day? Or do you want to just focus on writing? I will always be a teacher. I can’t root it out, in spite of me. But for this life season, the writing and the parenting keep me busy enough. In Surprised by Oxford, it chronicles your life and how you came to know the Lord. Do you find there is a conflict between being a Christian and being a professor? No conflict exists in the actual teaching itself, or in the reading of books. Those things only facilitate my inner conversation with God, and my outer living of faith. Any serious conflicts, I have found, arise from bureaucracy and the fearful, but that is nothing new. Do you find Christian writers to be mediocre? If so, why do you think this is the case and how do you think this can be corrected? I think mediocre writers, like any other profession, exist everywhere. Christian writing can seem particularly beleaguered because there are strains and judgments placed upon it from within the church as well as from without. I know, for instance, that when I went to publish my memoir, some Christian publishers won’t publish profanity, point blank (even if it’s used carefully, not gratuitously). Or they want you to edit out gay people, or drinking. I can understand some concerns but overall this seems ridiculous. Life is where it is lived; Jesus showed us that by his very example among us. But then on the other hand, many secular publishers won’t touch a manuscript which takes Jesus seriously with a ten foot pole. So what is the Christian writer to do? Which God to serve, so to speak? I think this can often stilt or deform even the most well-intentioned writing. If we are each honest and forthright about our own stories before God, then I do believe He will use them where they are most needed. What are your goals and aspirations as a writer? I hope to encourage readers in their relationship with God but also let them know it’s okay to ask the big (or little) questions. Our God is not a fragile God. I would like to explore this strength and nuance and presence through many types of genres. The well is bottomless! Lastly, what advice would you give a novice writer? Pray. Pray when you pick up the pen, or strike the keyboard. Pray when you write, and edit and slash and cut. Pray when you have gushed out all you have for that day. And pray over the final piece. That what was in you seeking God would find its home in another who also needed it. That your writing would bring peace and praise. And that no other worldly static would interfere with your joy in the word. Thank you, Carolyn Weber for this wonderful interview. I look forward to reading your next book. 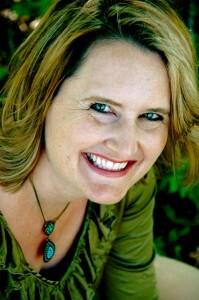 Carolyn Weber is an author, speaker and professor. 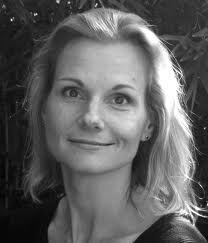 She has taught literature to undergraduates for 15 years, most recently as associate professor of Romantic Literature at Seattle University. As the Canadian Commonwealth scholar for literature, she completed her M.Phil and Doctoral degrees at Oxford University, and later served as the first female Dean of St. Peter’s College, Oxford.Carolyn lives in London, Ontario Canada with her husband and their 4 children. Wall Street Journal best-selling author Jon Acuff reveals the steps to getting unstuck and back onto the path of being awesome. Over the last 100 years, the road to success for most everyone has been divided into predictable stages. But three things have changed the path to success: Boomers are realizing that a lot of the things they were promised aren’t going to materialize, and they have started second and third careers. Technology has given access to an unprecedented number of people who are building online empires and changing their lives and changing their lives that would have been impossible years ago. The days of “success first, significance later,” have ended. While none of the stages can be skipped, they can be shortened and accelerated. There are only two paths in life: average and awesome. The average path is easy because all you have to do is nothing. The awesome path is more challenging, because things like fear only bother you when you do work that matters. The good news is Start gives readers practical, actionable insights to be more awesome, more often. I read Quitter, I went to the Quitter Conference and now I’ve had the sincere pleasure of reading Start. I enjoy Jon Acuff’s voice. He has an impeccable sense of humor. This man makes me laugh harder than anyone. He also makes me cry. He is wise, compassionate and brilliant. I wish I can carry a miniature Jon Acuff on my shoulder every day. He is the greatest encourager and motivator out there. He doesn’t share what he hasn’t gone through. He is transparent with his struggles and the mistakes he’s made. He writes what has helped him go from Point A to Point B. He is generous with advice and doesn’t hold anything back. His passion is helping others reach their dreams without destroying their lives. How can you not love this guy? Start is the kind of book you will want to keep reading and not put down. It is full of wisdom, humor, inspiration, encouragement and motivation. Why settle for ordinary, when you can be awesome. Jon Acuff tells you how to do it in, Start. I loved Quitter and Start even more. I believe you will too. 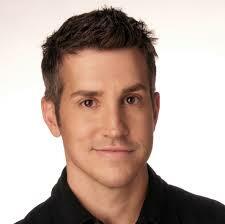 Jon Acuff used to be a Serial Quitter. He had eight jobs in eight years, constantly hoping the next one would be different. From writing advertising for The Home Depot to branding for companies like Bose and Staples, he’s no stranger to the cubicle. In 2010, Jon closed the gap between his day job and his dream job when he joined the Dave Ramsey team to become a full-time author. 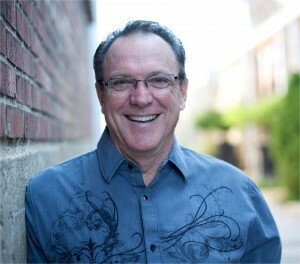 He has contributed to CNN.com, speaks nationally on a variety of subjects, and is the author of three books: Quitter; Gazelles, Baby Steps And 37 Other Things Dave Ramsey Taught Me About Debt; and Stuff Christians Like. He lives in Nashville, TN, with his wife and two daughters. Food labels, advertisements, politicians, self-help books–they all promise the same thing: a better life . . . or–as Jesus might put it–life to the fullest. For millions this pursuit of happiness has captivated , ensnared, and, most disappointingly, it has alluded. Which begs the question, what is the missing link? 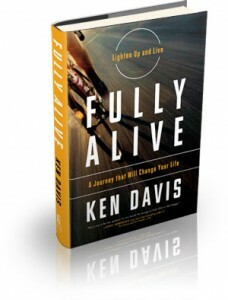 Fully Alive explores the idea that God is glorified when man is “fully and eternally alive,” illustrated by best-selling author and motivational speaker Ken Davis’s most honest and intimate stories. Ken invites us to walk with him on a journey, along a road of heartache and adventure to a place he calls “the land of the living,” and discover what may be missing in our lives. A poignant and entertaining storyteller, Davis points out the practical steps necessary to live this way–everything from lightening up to taking a quality of life assessment, to overcoming trials–while also revealing the power of Christ’s resurrection available for each of us. I admit, I didn’t know who Ken Davis was before reading Fully Alive. So, it was especially sweet getting to know him by reading his story. Ken Davis shares his struggles and triumphs in his life’s journey. He doesn’t hide anything. He is candid and open in relaying details of his life. Have you felt depressed or unmotivated lately? Have you been thinking about getting back in shape, but think it’s impossible? Do you feel old and listless? Are you just going through the motions in life? Have you thought, is this all there is? If you answered ‘yes’ to any of the above questions, I strongly urge you to get this book. Fully Alive will challenge, convict, inspire and invigorate you to make positive changes your life. After reading this book, I realize I seriously have no excuse. Ken Davis shows you how its done. You get the sense that if he can do it, you can do it. Ken Davis touches on various subjects, such as exercise, diet and faith. He writes from a holistic standpoint and leaves nothing out. I don’t know about you, but I definitely want to live fully alive. Fully Alive will inspire, encourage and enrich your life. 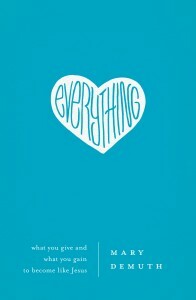 I highly recommend this motivating book to everyone. In conclusion, I want to thank Daniel Decker and Thomas Nelson for allowing me the opportunity to read and review a complimentary copy of this wonderful book.